The largest and deepest pool on the headwaters of Bells Gap Run can be found about a mile and a half upstream from where Route 865 leaves the valley and heads up Lloydsville hollow. 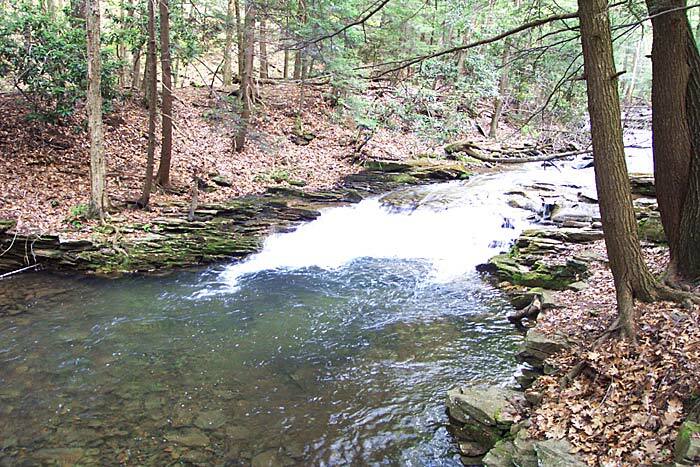 The Falls, as it is known to locals, forms just below where Bear Loop Run adds its waters. The angular slate rock is obvious in this spot where the stream has cut and polished its path on the way to the Tuckahoe Valley.